Clipboards are essential during exam times. 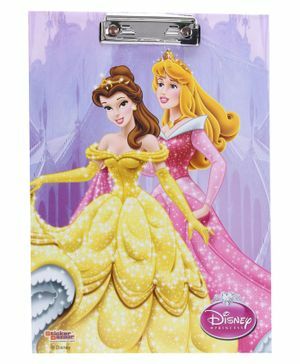 This Disney Princess theme exam clipboard motivates children and even keep them calm during exams. It's like carrying their favorite character to examination. Motivating characters like Disney Princess are best aid during exams. Made from good quality material, it's durable and runs for long time.